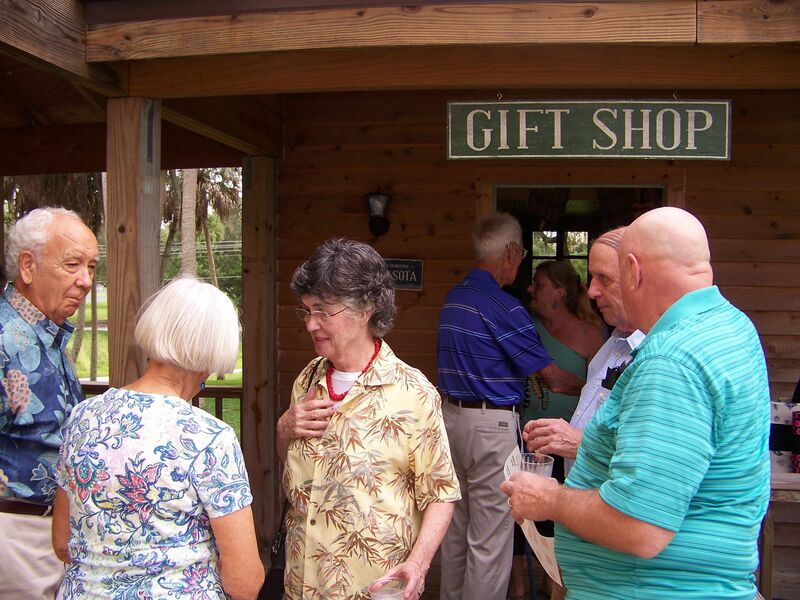 The Grand Reopening for the Gift Shop event on Friday evening was great! Lots of refreshments, good conversation, and some serious shopping done. 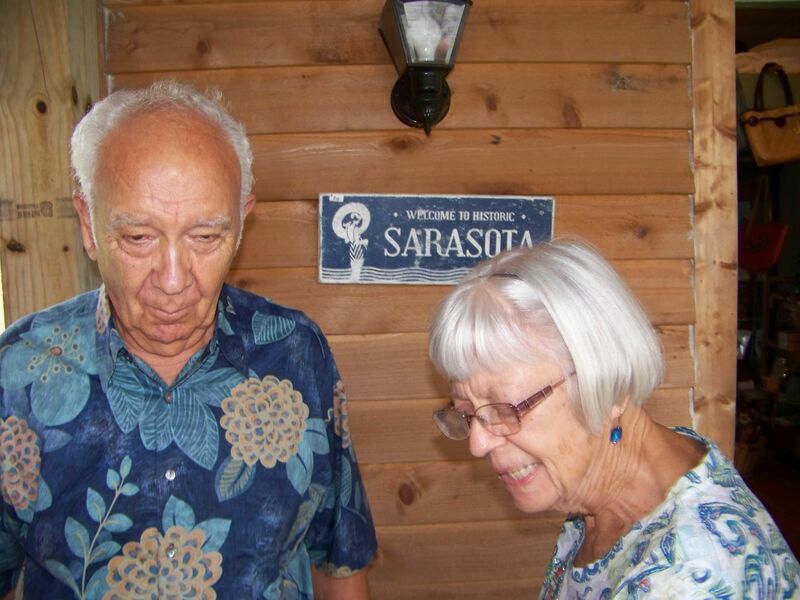 Milton and Isabel Rauch, members, appear to have dressed to match the Sarasota sign. This sign sold, but we have others! help local artists and the Society. 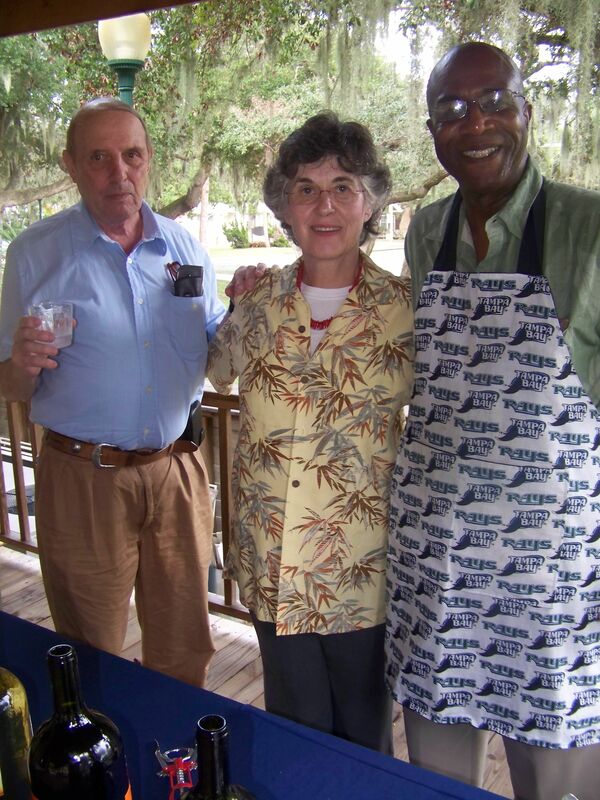 Dr. Bob, Donna, and Reginald enjoy a glass of wine, and the view of Pioneer Park at sundown. 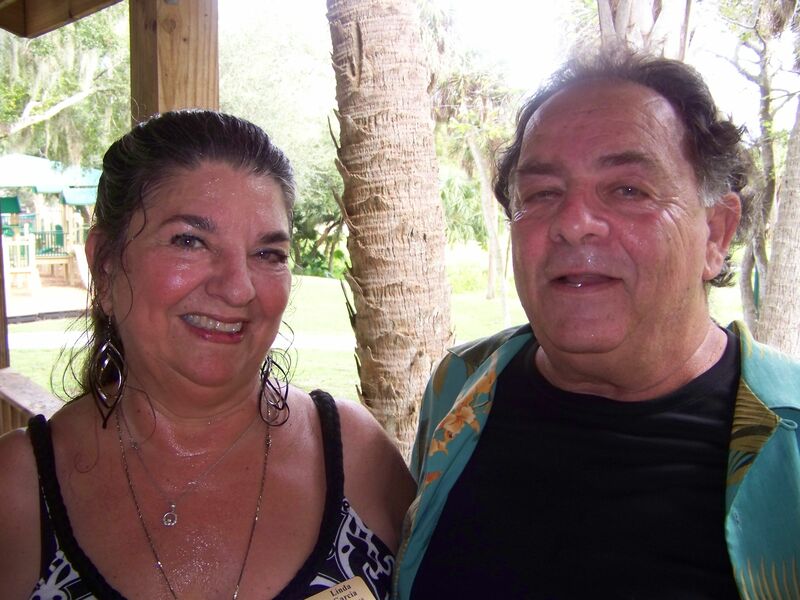 Linda chats with Lawrence Clapes, one of the local artists the Historical Society brings to you. He explained how he paints in reverse on Plexiglass. See his magnets and switch plate safety covers: tiny examples of his unique artistry! 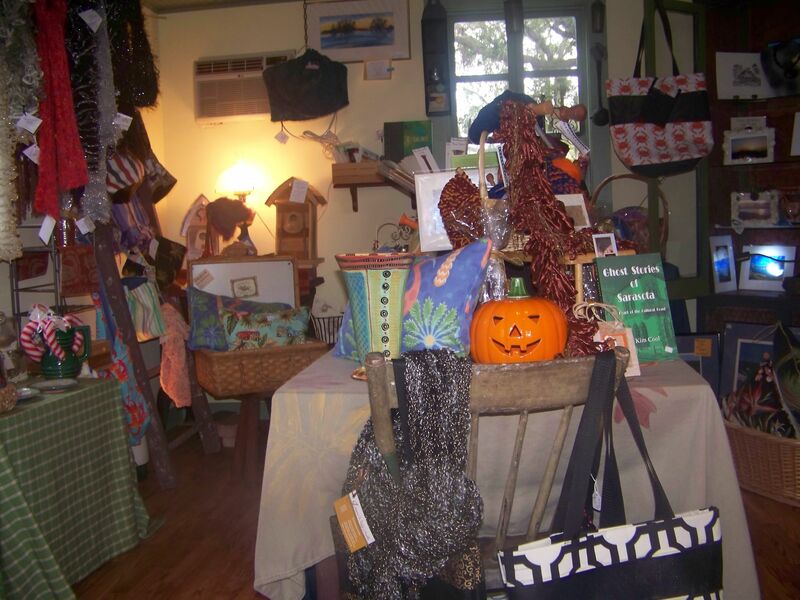 Inside the gift shop, candles flickered and patrons sought out a book on Sarasota’s ghosts, cheerful stuffed candy canes, and colorful totes. Members and guests wait patiently to have their chance to shop in the detached Florida kitchen of the 1882 Bidwell-Wood House. 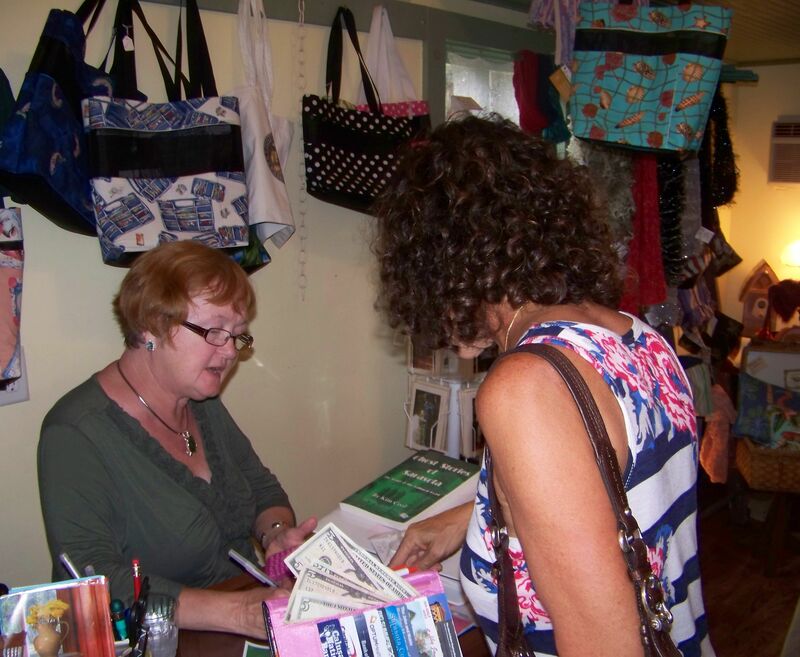 Beverly Blair kindly volunteered to cashier in the gift shop during the Grand Reopening. 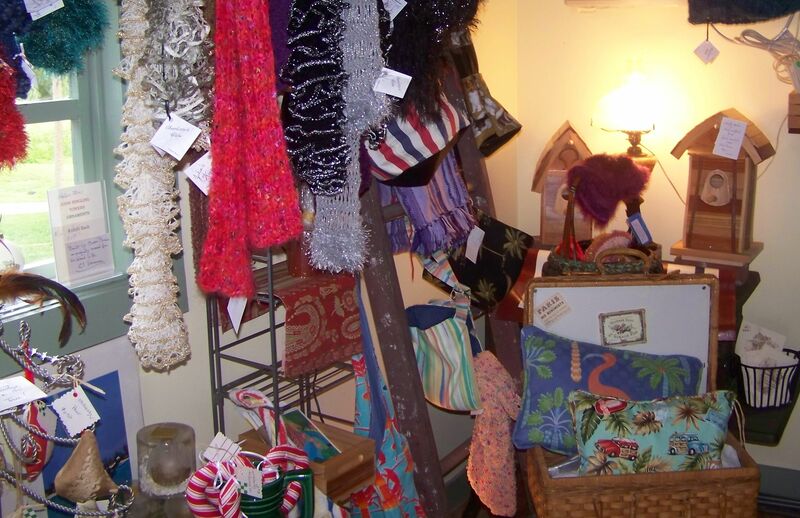 Don’t YOU deserve a few locally-made creations? I know I do. 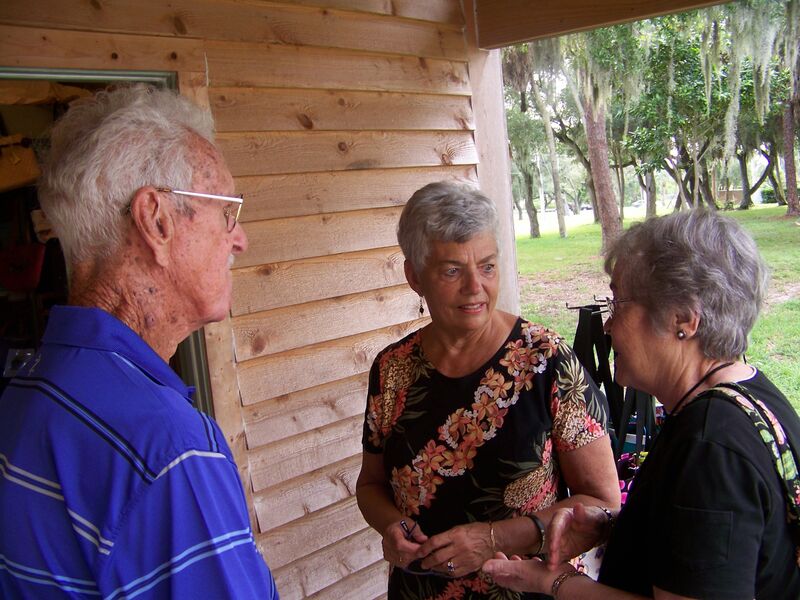 Members Ed and Lois with Jane, immediate past President of the Historical Society and enthusiastic gift shop organizer and volunteer coordinator. If you missed the Grand Reopening, don’t worry. 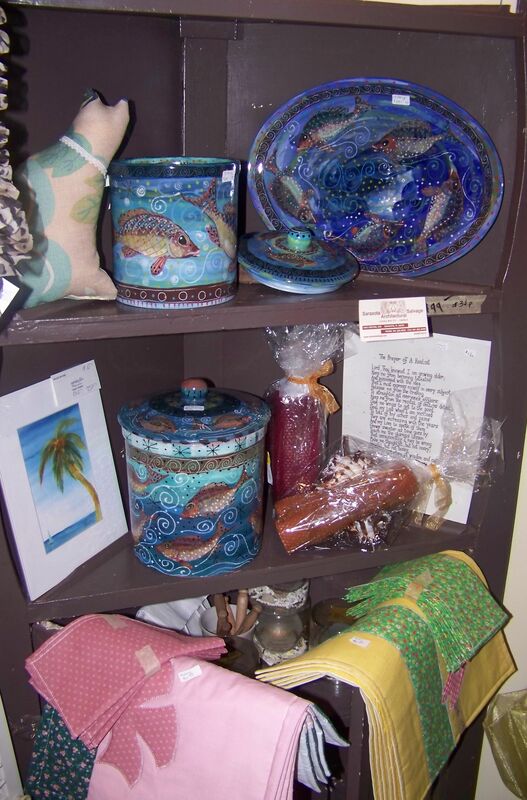 Our artists, craftspeople and authors are constantly replenishing the shop with more wonderful gifts! The shop is open Mon-Fri 10-2, and also before our monthly Conversations at the Crocker. Click for more on the shop. Click for more on our Conversations at the Crocker. This entry was posted in Participate, Past Events, People & Places and tagged Bidwell-Wood House, Conversations at the Crocker, Museum Shop. Bookmark the permalink. ← Rag rugs, stuffed cats, Florida tote bags (everyone need to tote Florida in a bag, right?) and more….